LeBron James will not be in the playoffs for the first time since the 2004-05 NBA season. With Los Angeles' 111-106 loss to the Brooklyn Nets on Friday, the Lakers have been eliminated from playoff contention. Los Angeles' record now stands at 31-41 for the season and the Lakers sit at 11th in the Western Conference. 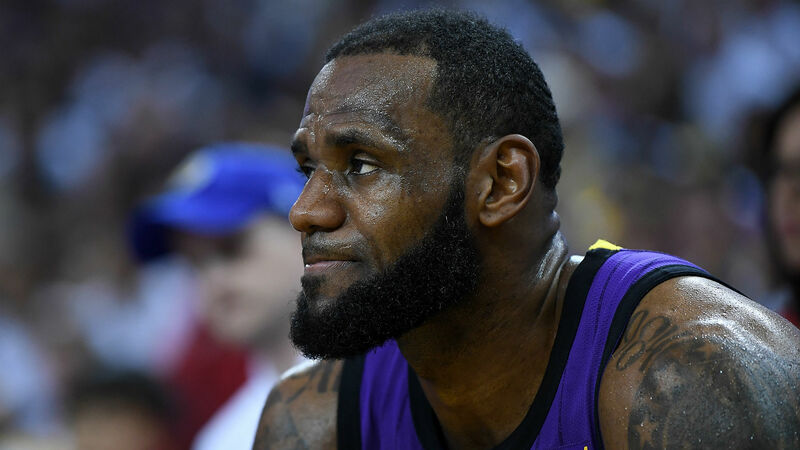 James' Lakers were in contention for much of the beginning of the season until the four-time MVP suffered a groin injury Christmas Day. He missed his team's next 17 games, which saw Los Angeles go 6-11 and fall out of a playoff spot. The Lakers never recovered and have gone 11-27 since James suffered the injury.